Dr. Farah Turk completed her undergrad at the University of Miami and is a graduate of the University of Wisconsin School of Medicine in Madison, Wisconsin, one of America's Top 25 Medical Schools. She completed her residency at Swedish Covenant Hospital, an affiliate of Northwestern University in Chicago, where she served as Chief Resident. Dr. Turk is Board Certified and has over 20 years in practice. She is on staff at Provena St. Joseph's Medical Center and Edward's Hospital. Dr. Turk is double-board certified in Obesity Medicine and Family Practice. She is certified to do DOT Physicals and Immigration Physicals. Dr. Turk also has Marijauana certification and is certified to do suboxone treatments. Dr. Turk is a clinical preceptor for medical students at Lincoln Memorial University and Kansas University where she is also an Associate Professor. She is also a preceptor for nurse practitioners. 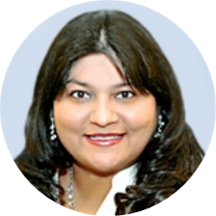 She is a compassionate physician with years of experience in treating patients of all ages. Most importantly she listens and addresses her patients' concerns and medical needs.